Opportunities for work experience in dental practices are a crucial way of encouraging the next generation of dentists and dental nurses, among other professions. 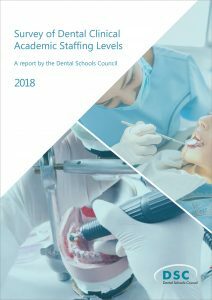 Dental schools know that the arranging and hosting a work experience programme can seem daunting in light of the complexity of running a dental practice, so in collaboration with Health Education England we have produced a toolkit which dental practices can draw from in arranging their programmes. It contains tips, advice and testimonies from those who have run successful programmes. The toolkit is called ‘Filling you in’, and it is available from the Health Education England website. It is relevant to dental practices across the UK.